Holidays aren’t just about beach and pool days, and it’s often just as much about exploring the resort and area you’re visiting. The safest and easiest way to do this is to book a few excursions, because this way you get to see the main areas of interest in a structured way, and often with the help of a guide to answer any questions, and lead you in the right direction. 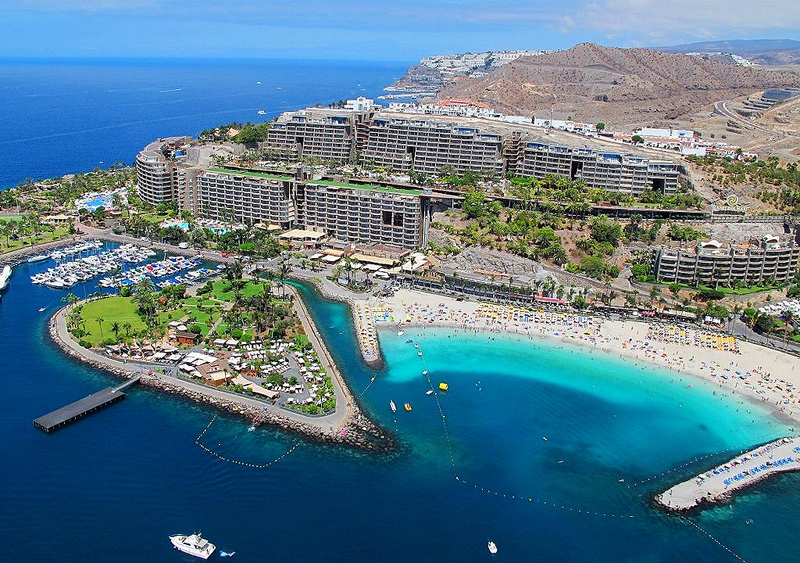 There are lots of things to do in Gran Canaria, and the island has plenty of areas of interest. Whittling it down to a select few is a difficult task, however there are some that are more popular than others for good reason. Start your holiday chilled out and raring to go, instead of stressed out and ready to scream, by checking your flight is on time and all is well. I do this online, and just last week I was busy checking my BA flight status online in the hours before I left the house to catch my flight. Do this and you will be calm and looking forward to your break, not nervously worried about what is going to happen with your travel plans! So, you’re in resort, you’re ready to explore, where should you go? Whilst Gran Canaria isn’t in Africa, you will think you’re right in the heart of the Sahara when you see this huge sand dunes before you. A camel ride over the dunes is probably the most popular excursion in the whole of Gran Canaria, with good reason. It’s a good laugh, lots of great memories will be made, and you need to get plenty of photos of it too! Just a few miles away from popular Playa del Ingles you will find a former Western film set, which is now a Wild West theme park, and a hugely popular one at that. Shows, cowboys and Indians, gunfights, you’ll find it all, and it’s a great day out for all the family. A boat trip regardless of where you are in the world is a must do. You can really see the coastline from a different point of view when you’re out sailing the blue, but just remember a hat and sun-cream, otherwise you might find yourself a victim of sunstroke, and that’s no good thing. Strictly speaking this is in Tenerife, but that is only an hour away by boat, and you get to visit two islands within the space of one holiday! Loro Parque is a hugely popular wildlife park, with famous dolphin and killer whale shows, as well as more land-based wildlife, such as tigers and gorillas. Fun for all the family. Set in a desert canyon near Maspalomas, this wildlife park is another of those hugely popular excursions. The great thing about this particular park is that the habitat of the inhabitants is replicated, so it’s as close to nature as you’re going to get. Educational and lots of fun. Not just about the beach and pool, get out and explore this beautiful island!